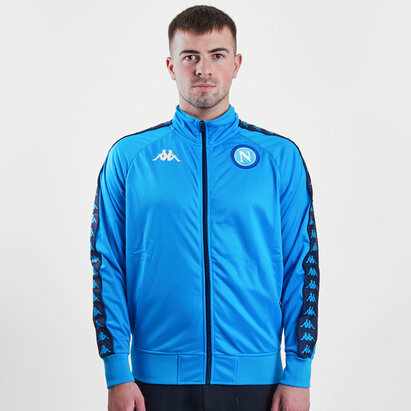 Cheer on the boys in Blue and show how long you've been a fan with this Kappa Napoli 222 Banda Anniston Retro Away Football Jacket. Napoli play their football in Serie A having won the league two times and runners up a total of six times. Their success also includes the Coppa Italia five times, the Supercoppa Italiana twice, and the 1988–89 UEFA Cup. With the fourth biggest fanbase in Italy, the club is now cited on Forbes' list of the most valuable football clubs in the world. 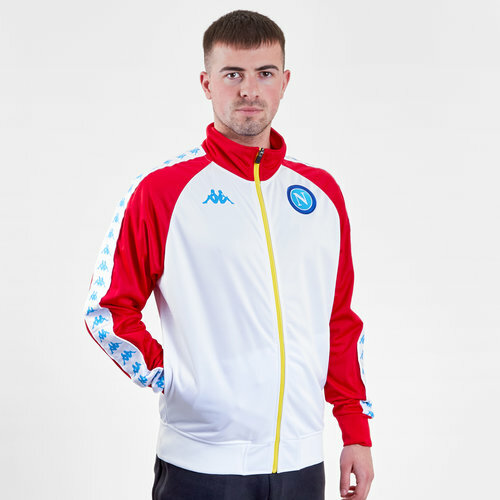 This sweat jacket is an iconic design reinvented with a modern twist, it has the club logo on the chest along with details such as the SSC Napoli 1926 embroidered on the back. This also featured the class banda down the sleeves. This is the away retro jacket as it comes in a White and Red colourway.